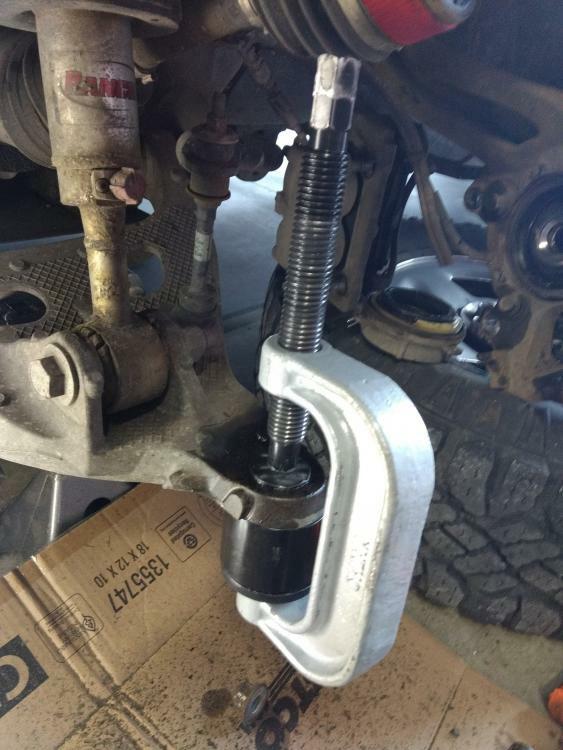 I just wanted to share my afternoon endeavor in case anyone else is planning on doing ball joints in the near future. The vehicle is a 2007 F150 4x4. 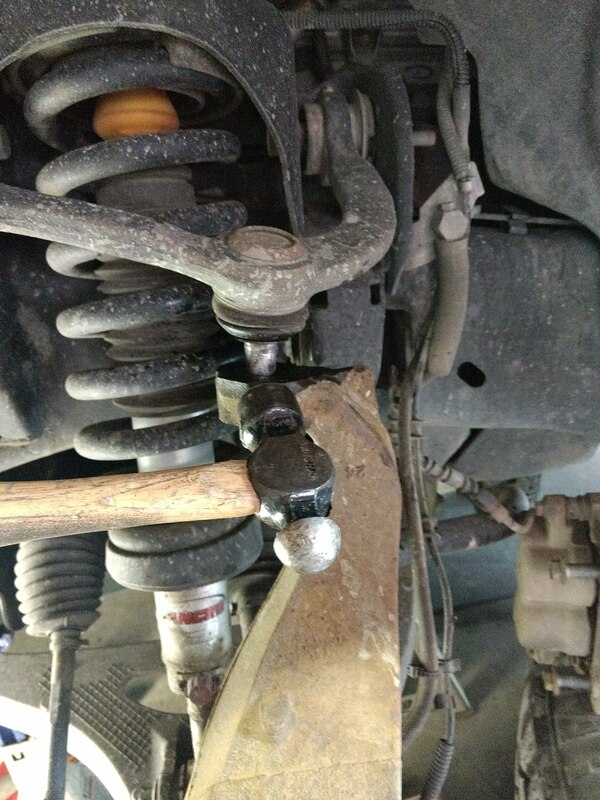 I did the simple ball joint check by jacking up the truck and prying under the tire and watching the lower ball joint. At 170k miles I’m impressed with how good of condition they were in, just a slight bit of play. Enough to warrant replacing them. 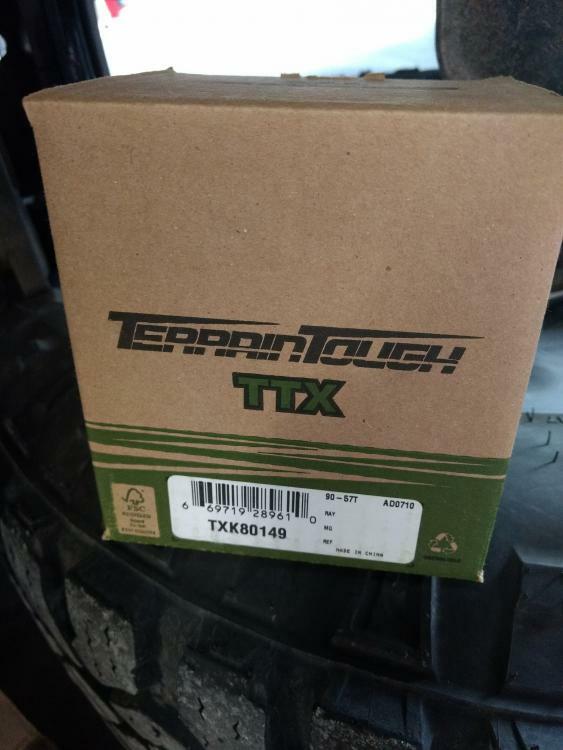 I bought Mevoteck TTX ball joints, they have a great warranty and reviews were great. As always, use jack stands and secure the vehicle from moving before starting. 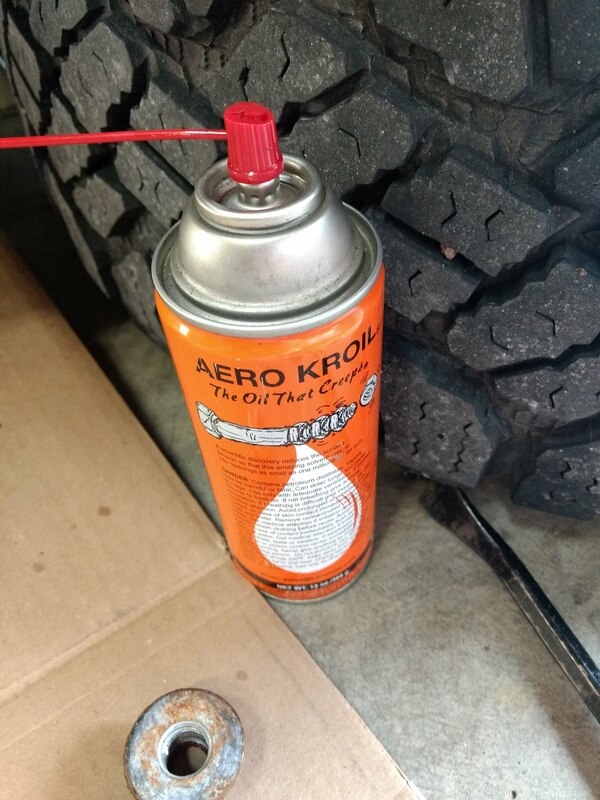 After removing the tire, rotor, and caliper I sprayed penetrating oil on everything to be removed and then rounded up the necessary tools. 1. Do not hammer on the ball joint to break it loose unless yo a very careful to not hit the outer circumference of the ball joint. 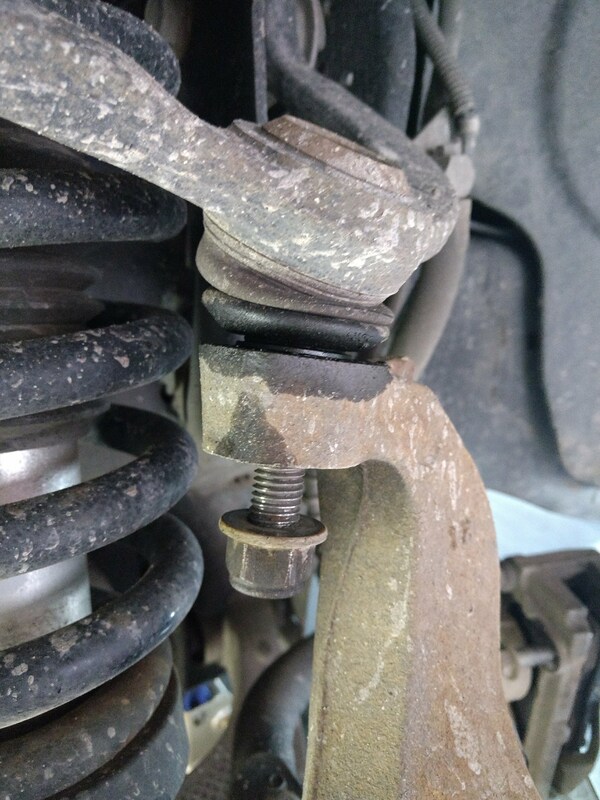 Doing so will cause damage to the control arm when pressing the ball joint out if the edges of the ball joint become deformed where the snap ring lip is. Ask me how I know. 2. 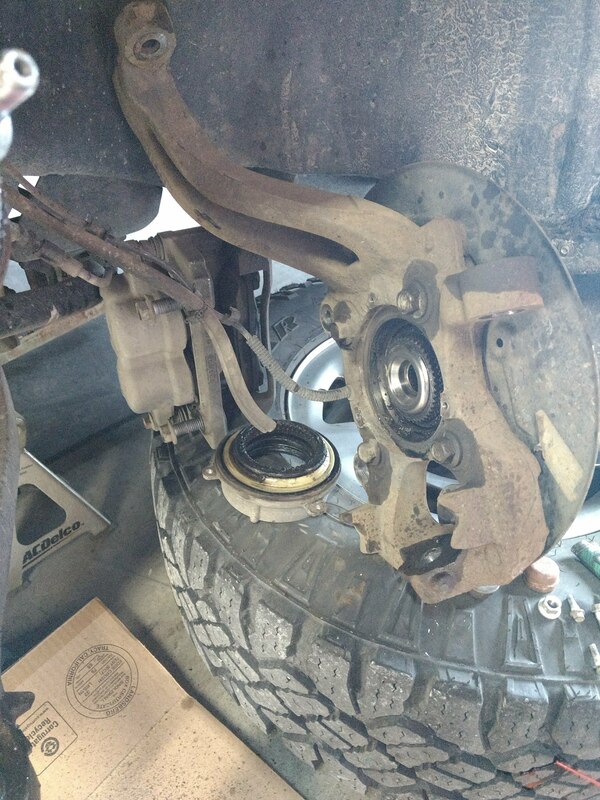 Do yourself a favor and have a good quality ball joint service kit on hand. My Made in China set is garbage and added a lot of time to the job because the body of the press is no longer square and I had to constantly reposition it to keep the ball joints going in and out in a straight manner. The kit also has very few spacers and such, so I had to get creative when pressing in the new ball joint. Once the new ball joint is in lube it up, but don’t overfill it. I took the time to clean out the vacuum hub assembly and applied new grease to the seals, needle bearings, etc. I reassembled in reverse order, starting with the lower control arm to spindle mount. Helpful and great photos as usual, 53HiHood...Did the Rancho shocks and springs drop to full down position when you placed the frame on stands? How did you unload the coil spring pressure before loosening the upper ball joint from the control arm? Did you need to use a floor jack beneath the lower control arm when detaching the upper ball joint? For those not aware, the coil spring (MacPherson style, coil-over shock style like this Ford F150 IFS 4x4, or even the traditional conventional coil springs on a beam axle model) must always be unloaded carefully. 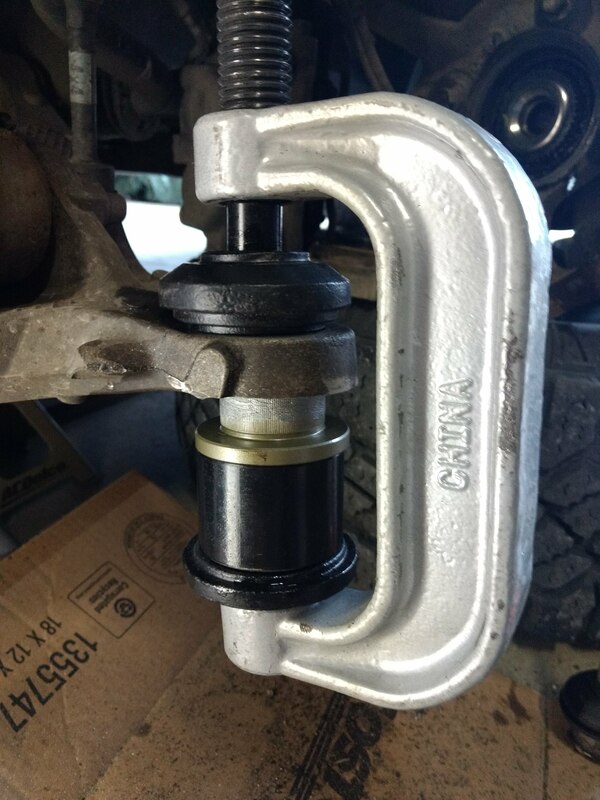 Conventional coil springs on older 2WD IFS trucks can leap out of position if under tension when the ball joint is separated, causing personal injury and/or damage to the vehicle. In some designs, the shock absorber limits the travel and stops the spring from flying out, but this is way more load than the shock absorber is designed to contain. In some cases, a coil spring compressor that clamps outside the coil spring can contain the spring's tension and lock its length during the service work. 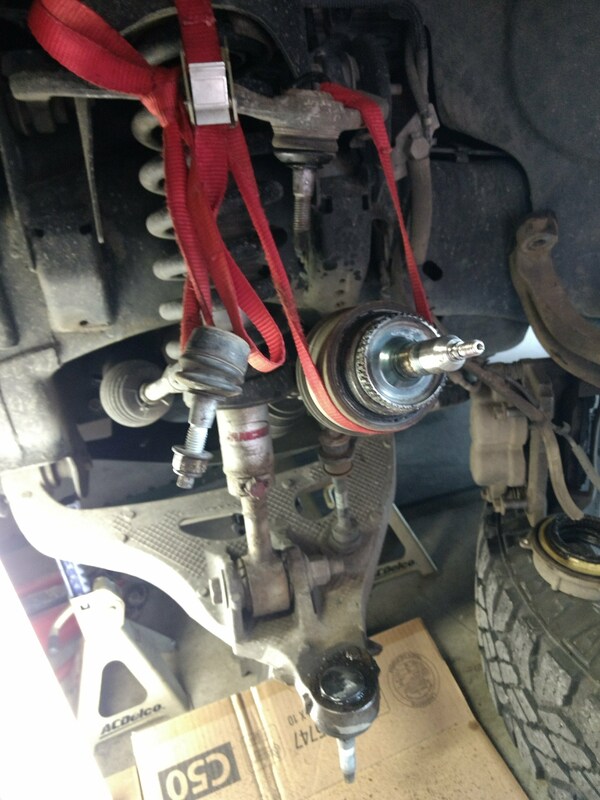 Solid beam axles and Twin-Traction beam front axles do not create an issue when changing steering knuckle ball joints. The ball-joints and steering knuckles attach to the outer ends of the axle housing. 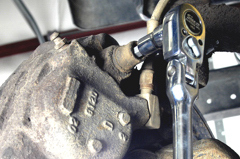 The ball-joints are for knuckle steer only and are not part of a moving control arm suspension like with this late Ford IFS coil-over design. Nice, detailed work here, 53HiHood...Thanks for sharing! The coil spring is captured by the strut assembly so I didn't need to compress it. The upper and lower strut mounts stay intact. I didn't have to use a jack when detaching the upper ball joint, I left the nut on to keep things from moving too much until it was broke free. I saw the nut/safety measure, always a good strategy. This turned out to be a relatively easy job with the captured strut and no need to compress or hold the spring. A Ford Better Idea? Do you like the F150 and true control arm IFS with half-shafts and CV-joints? We had an '87 Twin-Traction Beam, it had some durability advantages but was very primitive around camber changes, worked okay but not as well as true IFS. I drove a Raptor at Baja on a BFG KO2 tire launch event in 2014, very much appreciated the control and ride quality!